Back row, l-r: Goddard, Hugh Tod, "Sep" Holland, Charlie Bunyan, Walter Bannister, J Hindley. 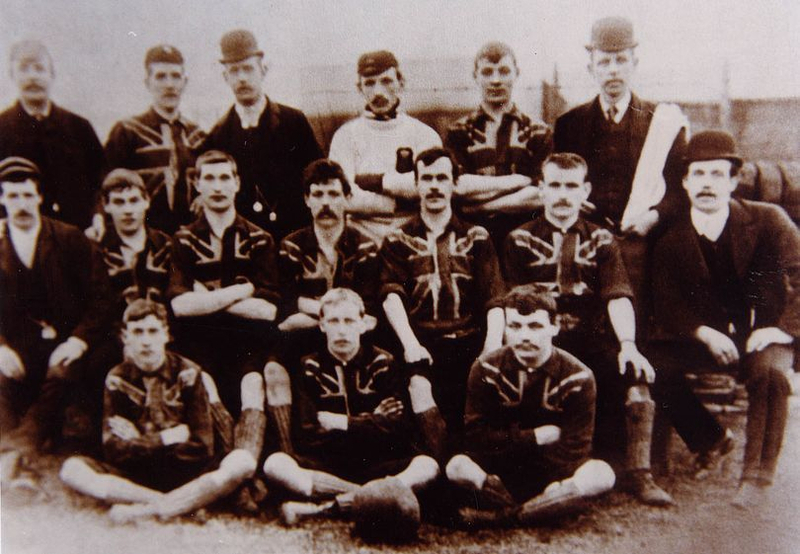 Middle row, l-r: Arthur Vickers, Henry Haslam, Felix Davis, Sam Kirkland, Fred Widdowson, Jim Blayden, Fred Burton. Front row, l-r: Billy Nicholls, Tom Roper, Billy Marshall.